By the end of the season, things were getting crazy. 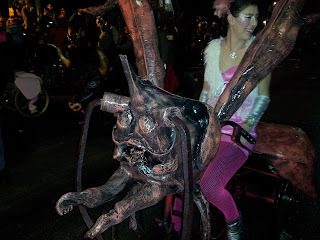 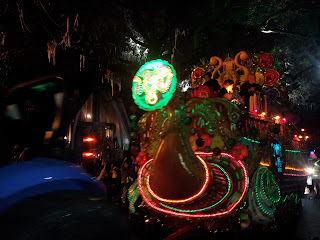 I couldn't tell if I was coming down with something, or if I just ached from standing, walking, and biking (and falling) all over the place, and my sore throat was for screaming during parades and my headache from drinking too much. 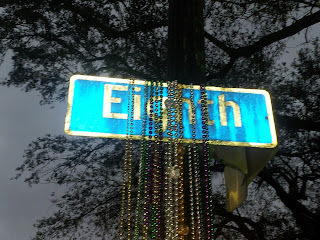 It's always hard to say. 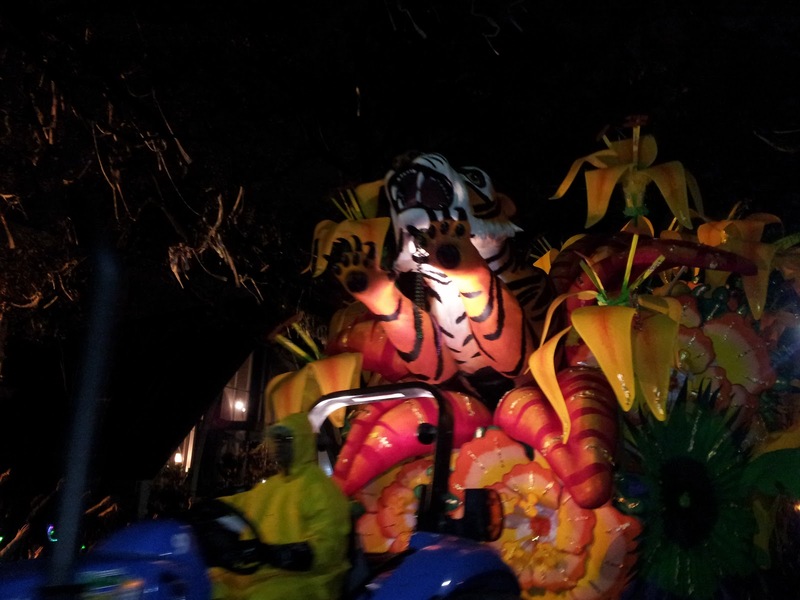 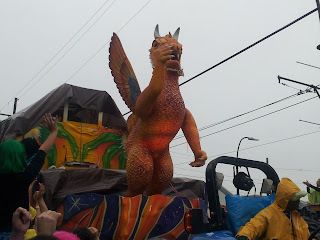 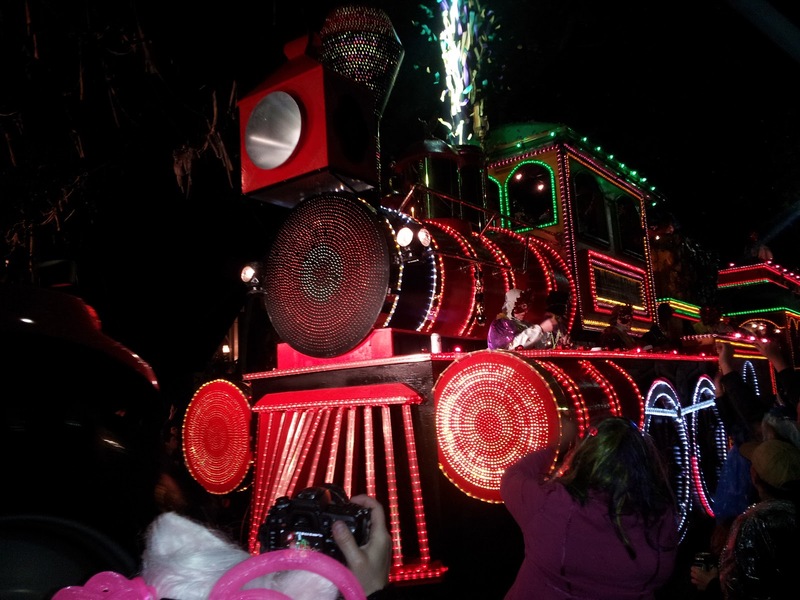 Spoiler alert: I did come down with something but didn't realize it until after parades. 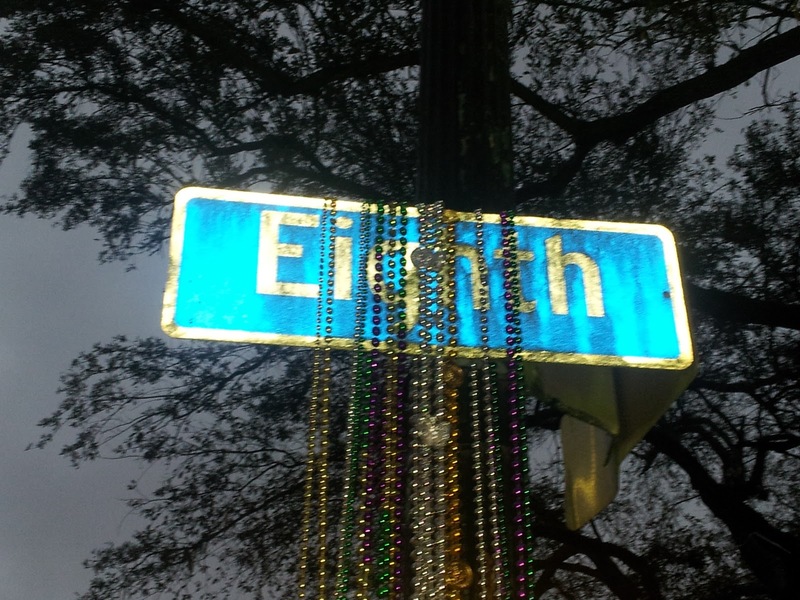 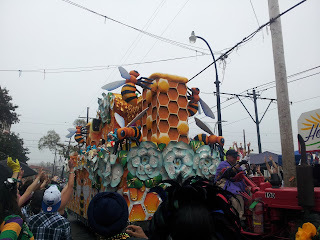 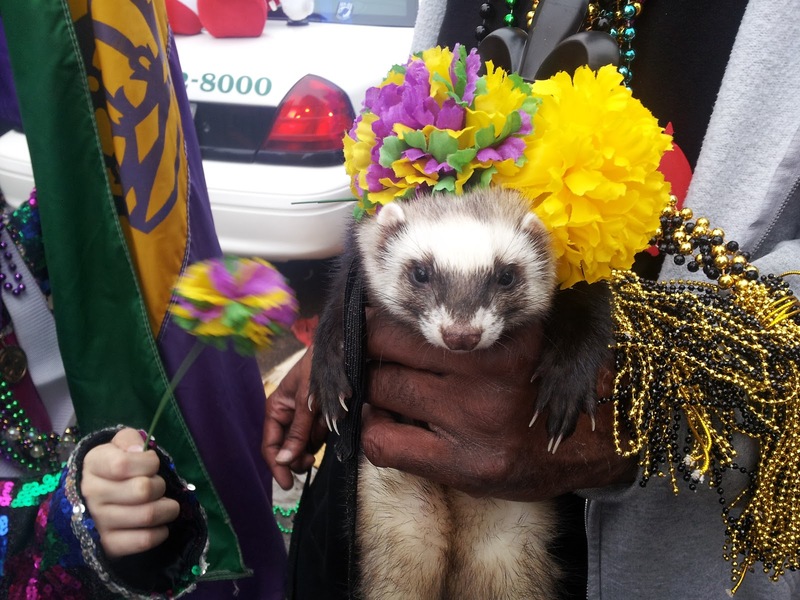 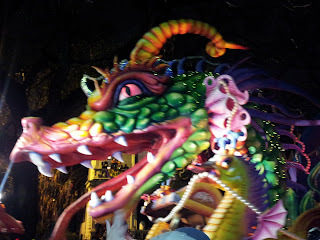 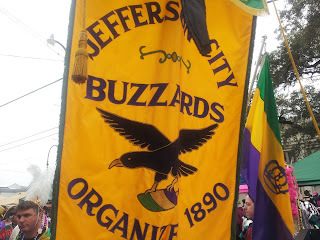 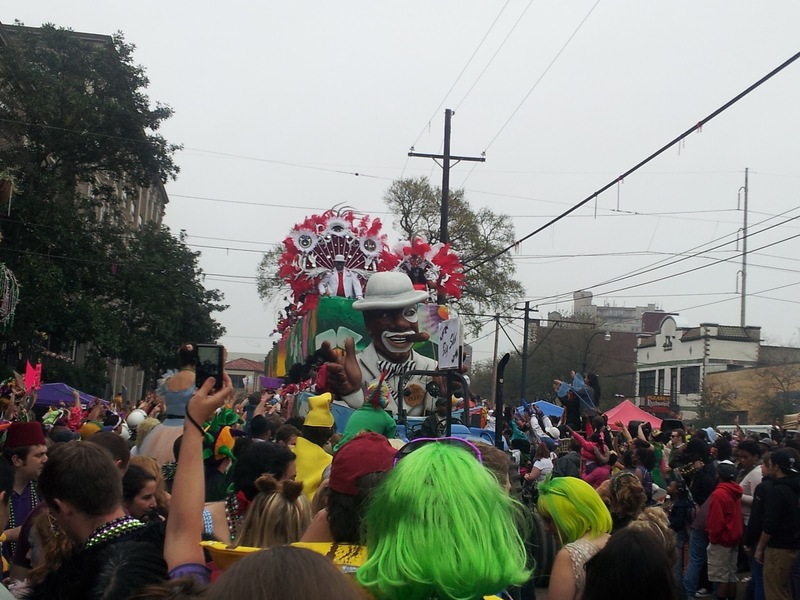 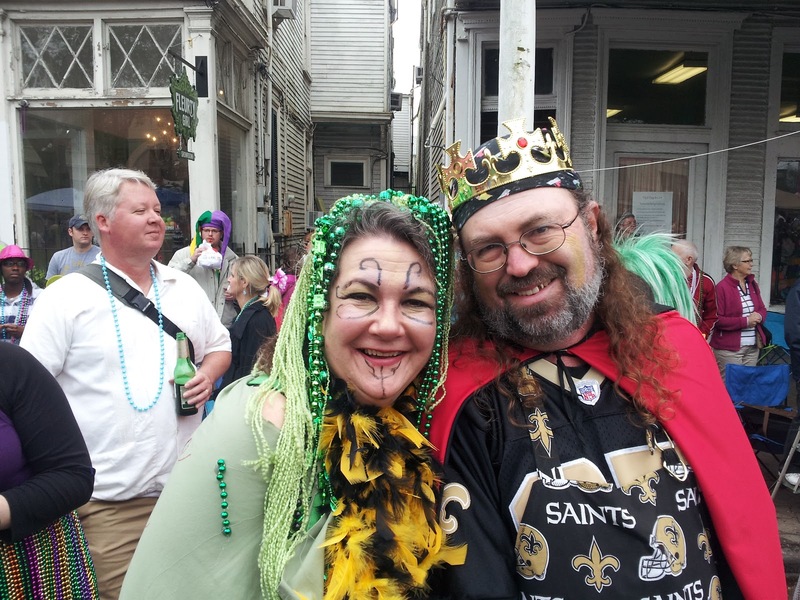 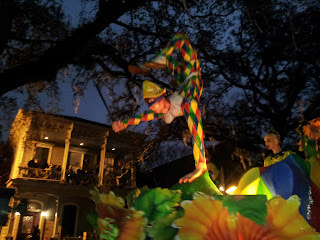 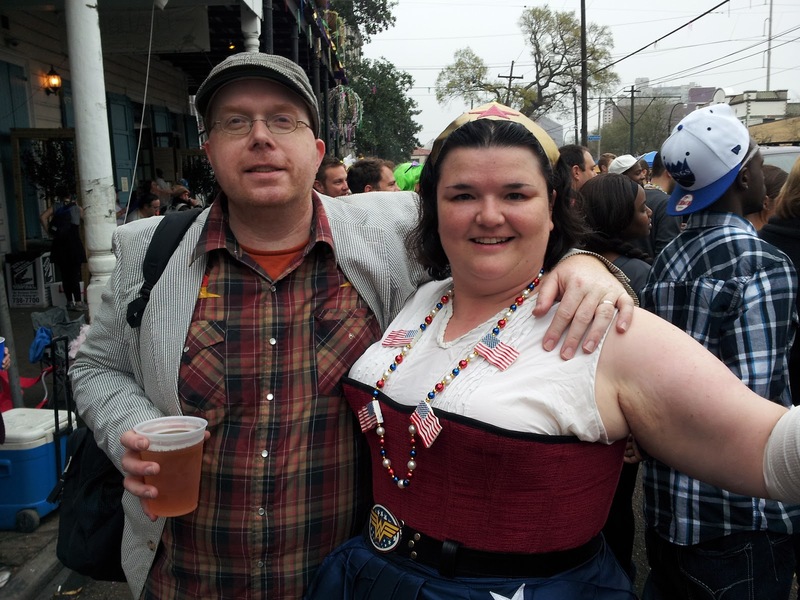 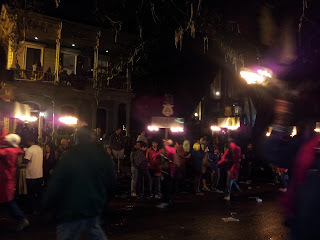 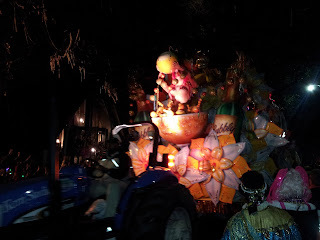 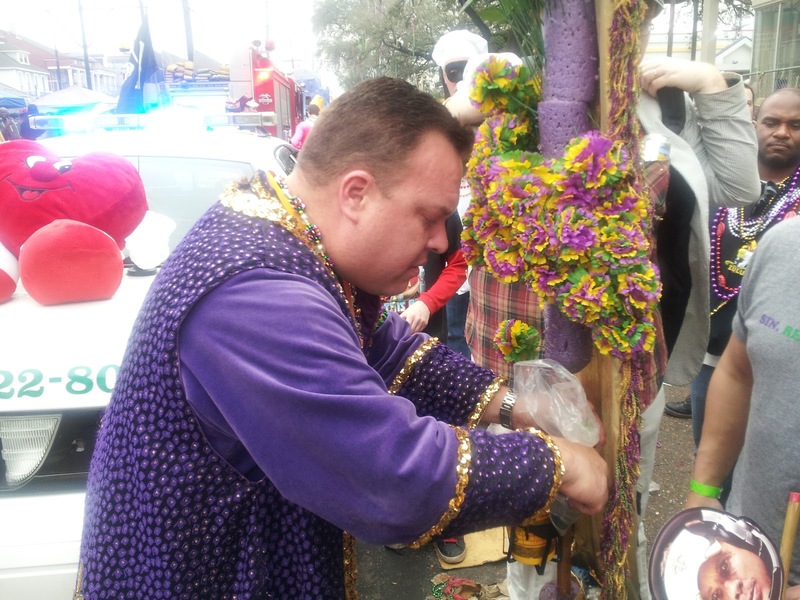 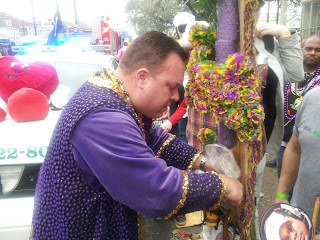 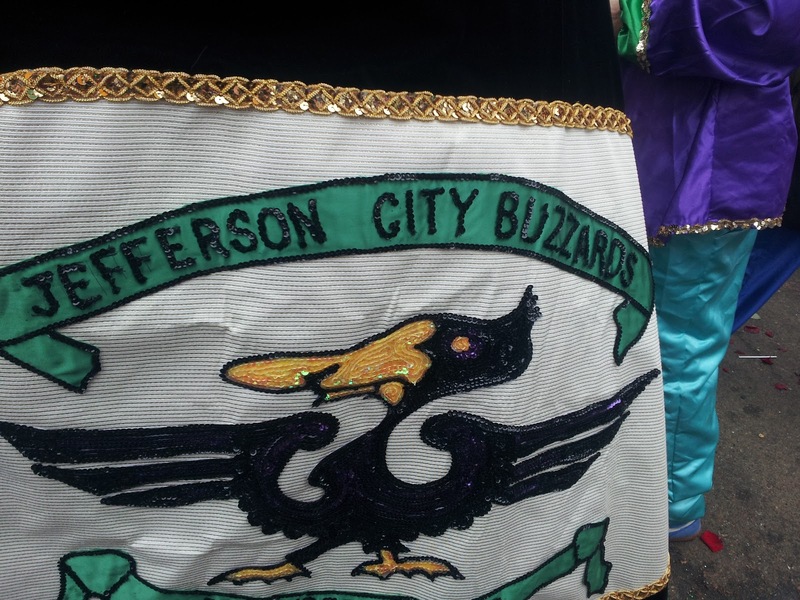 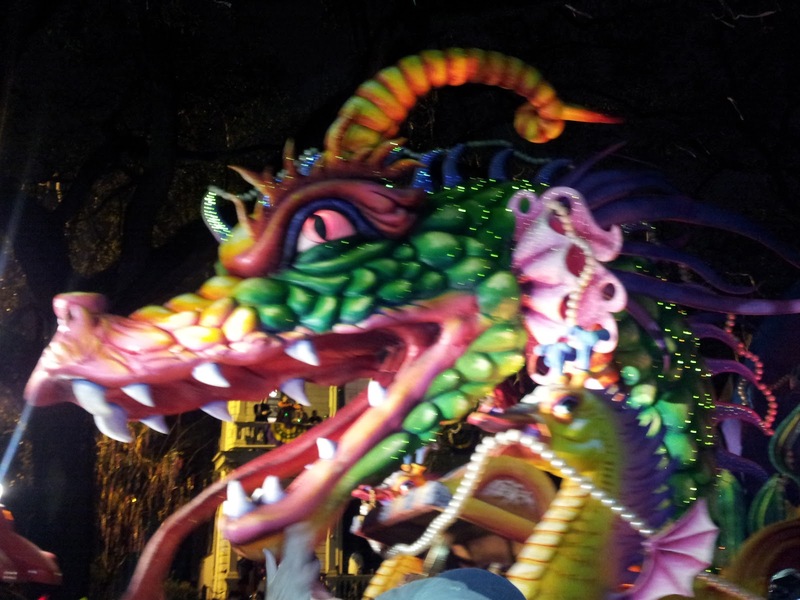 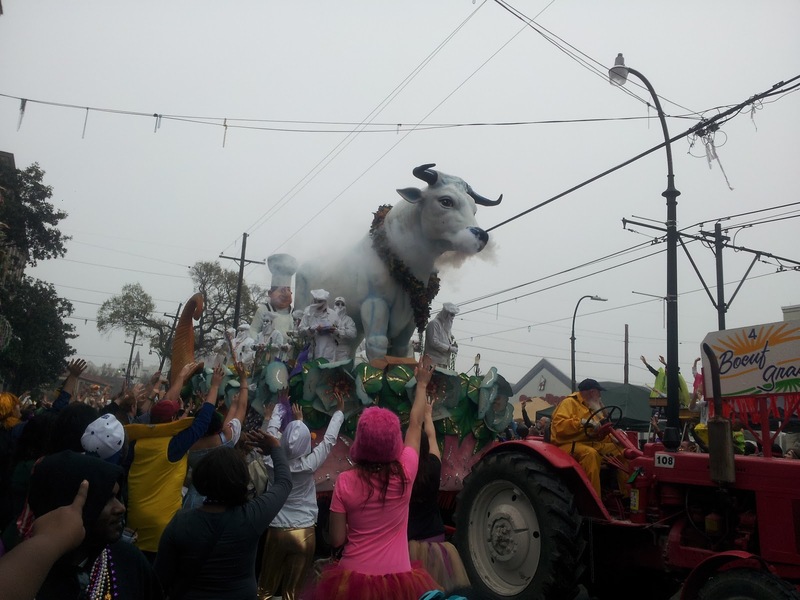 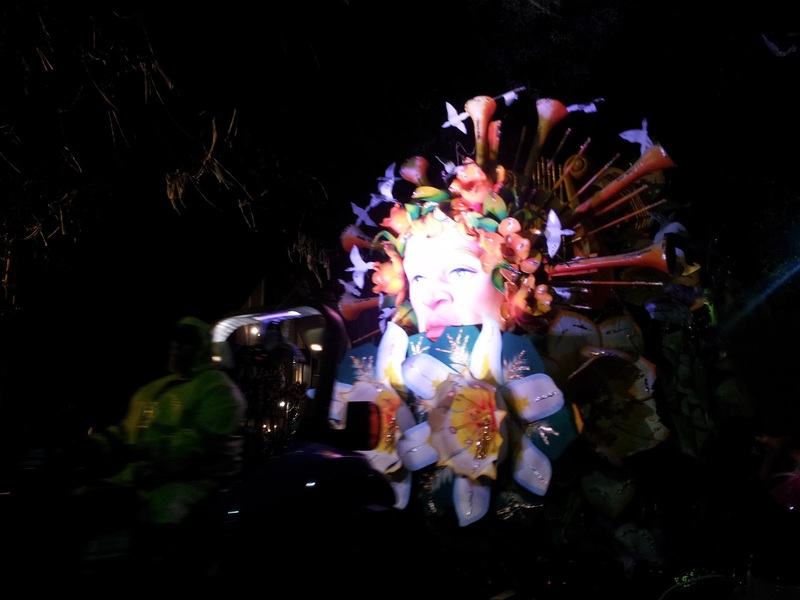 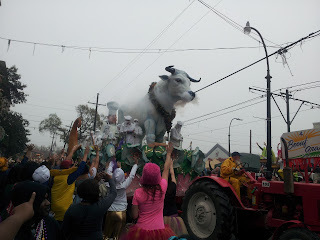 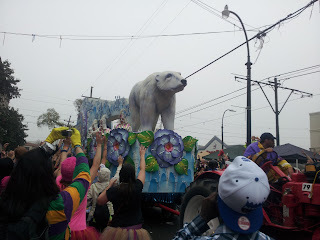 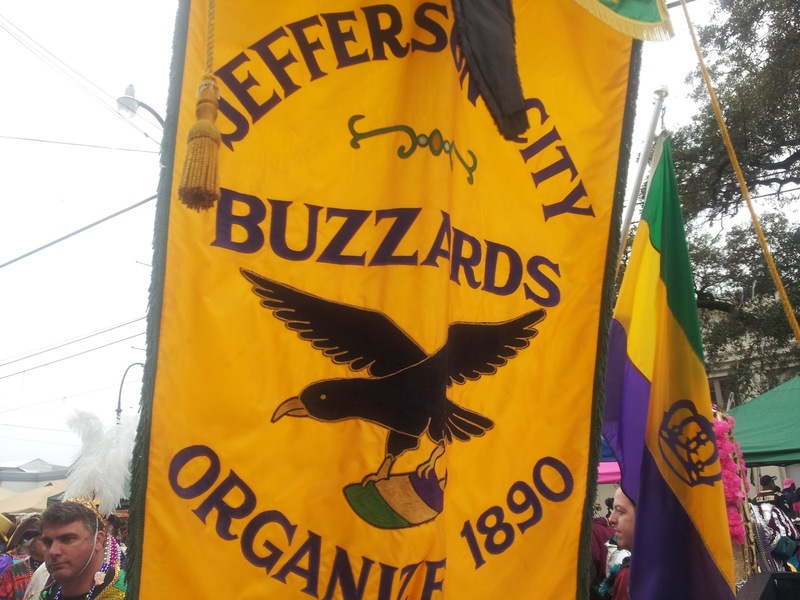 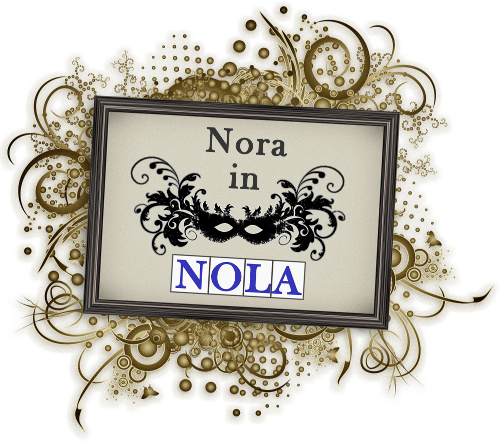 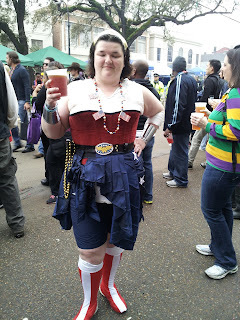 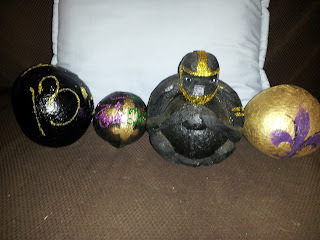 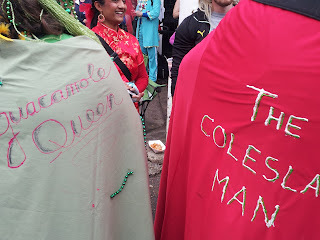 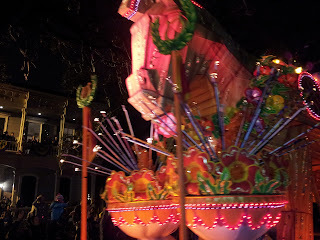 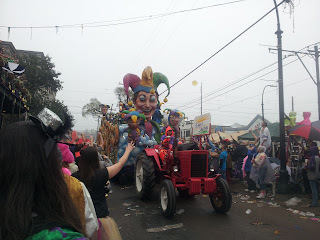 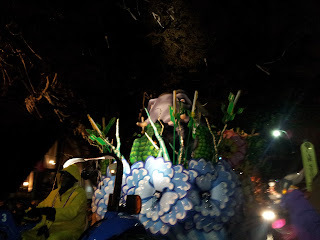 Lundi Gras pictures! 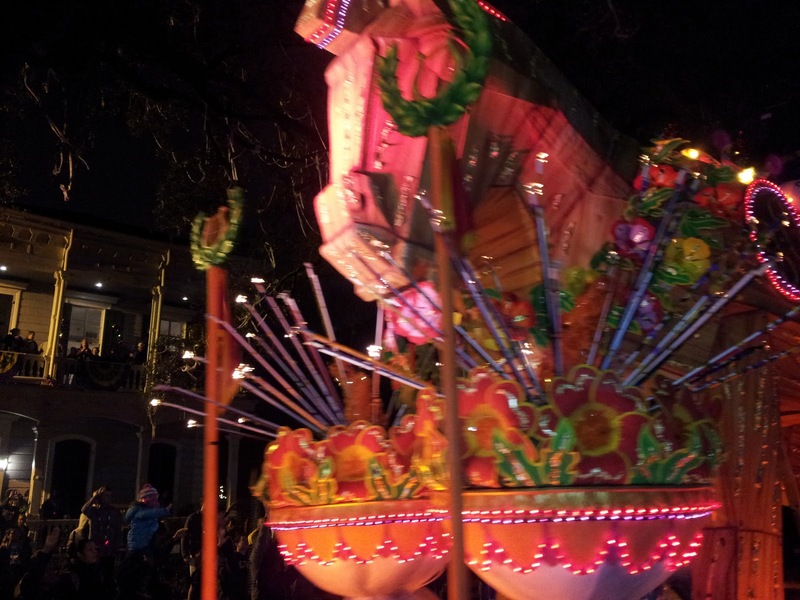 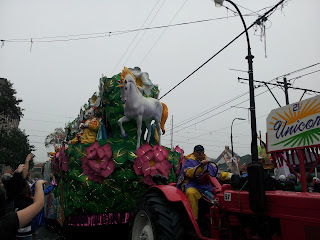 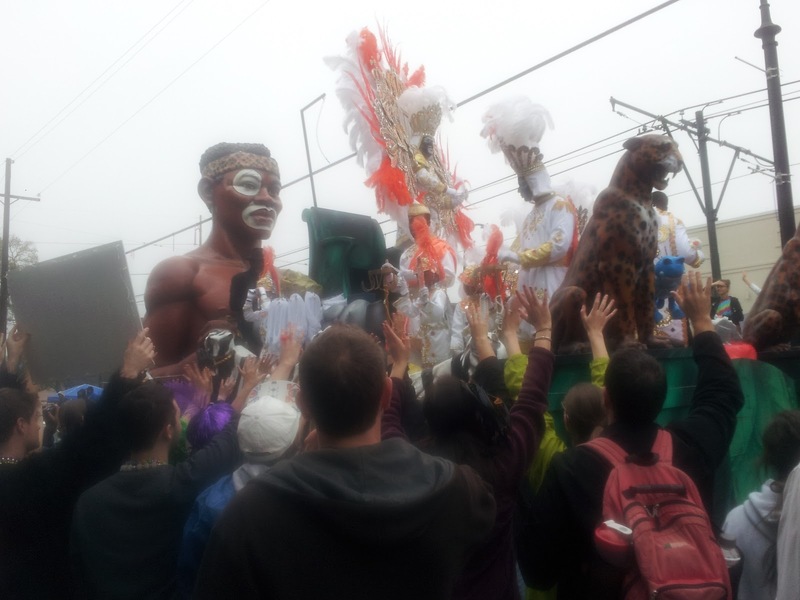 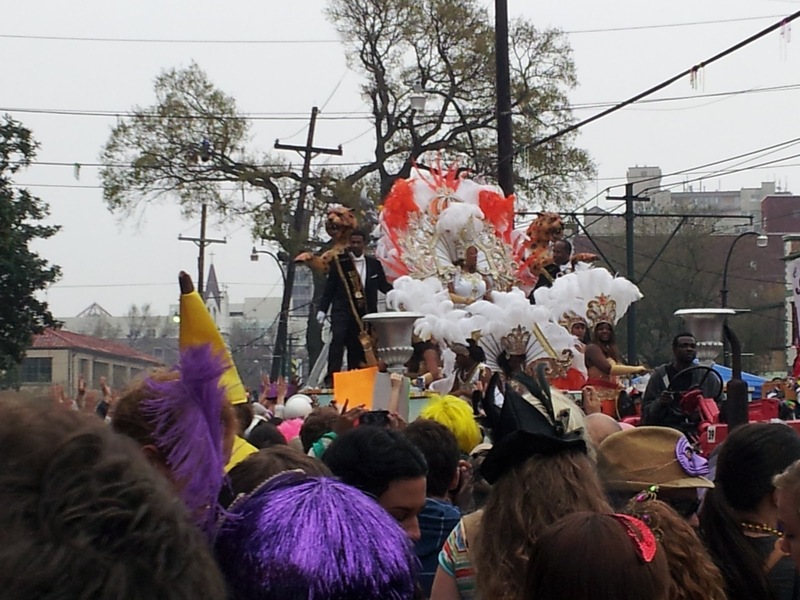 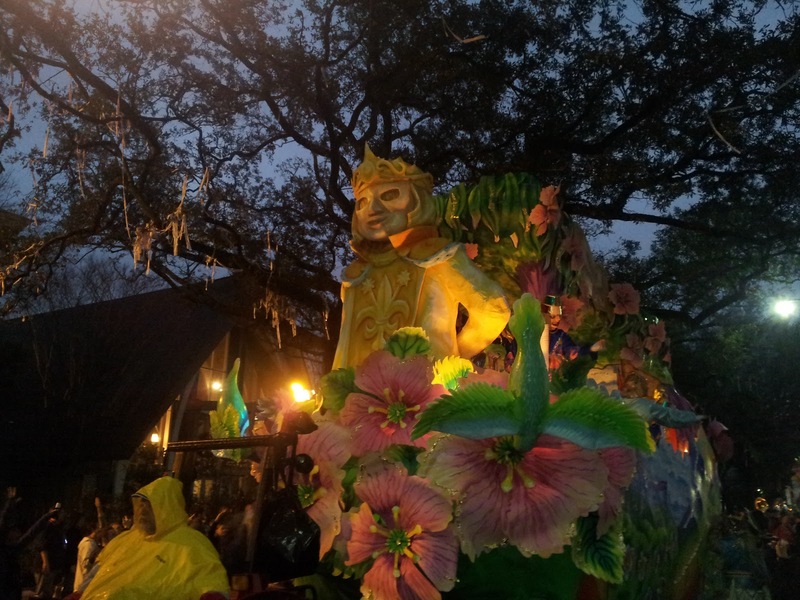 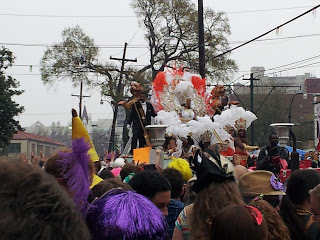 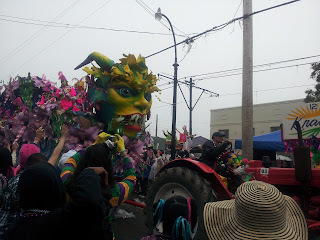 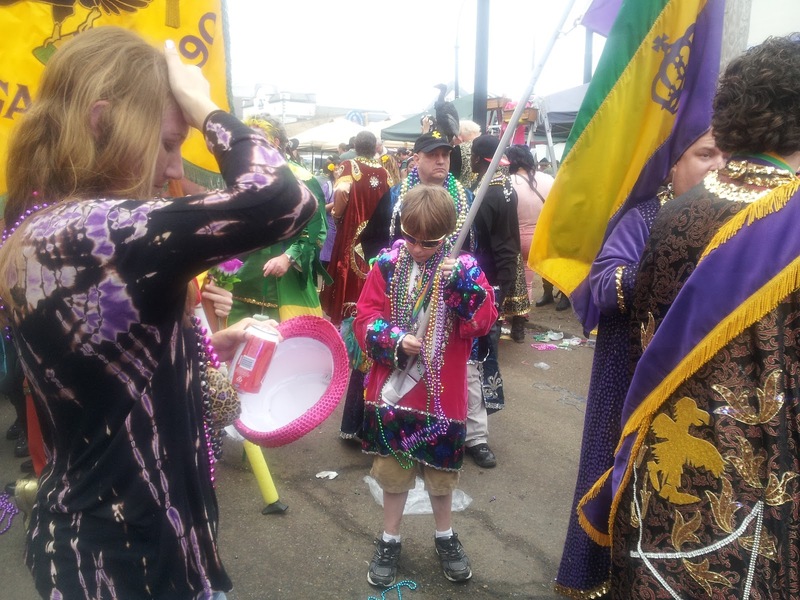 Krewes of Proteus and Orpheus. 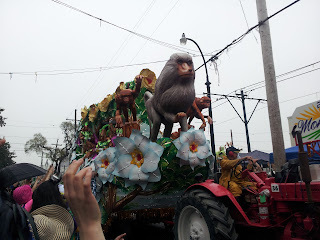 Monkeys. Why don't I have 10 of them. 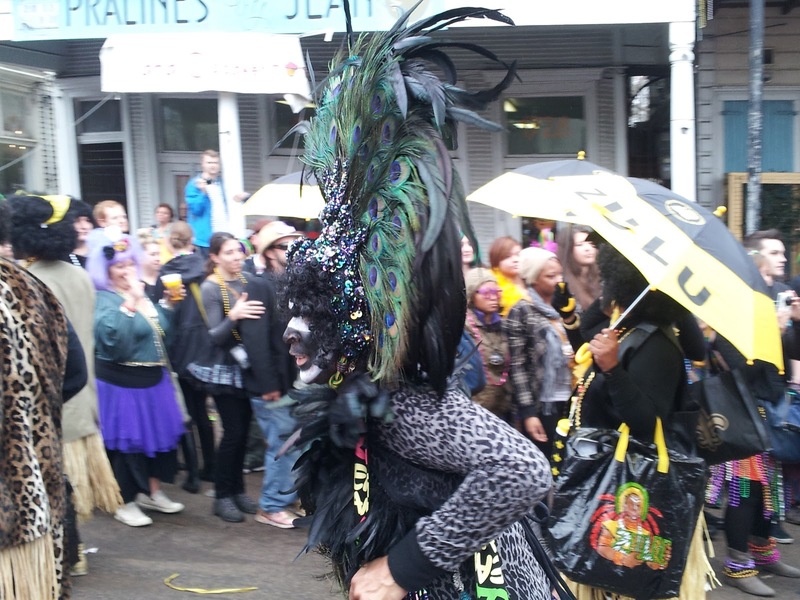 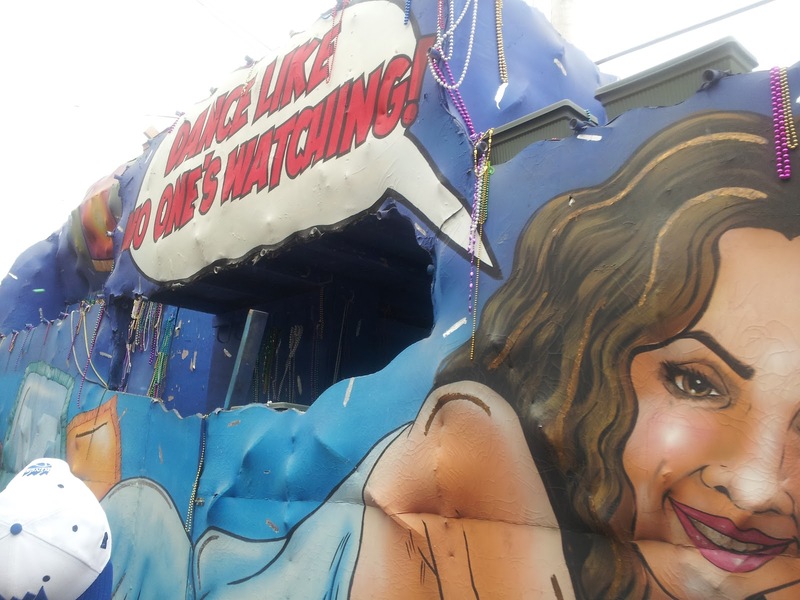 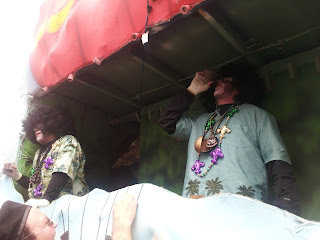 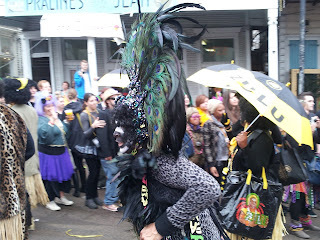 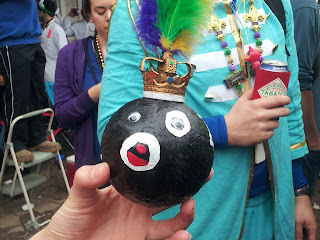 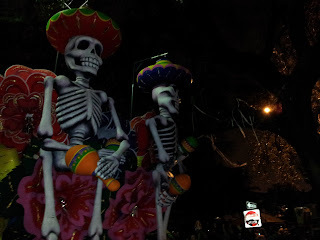 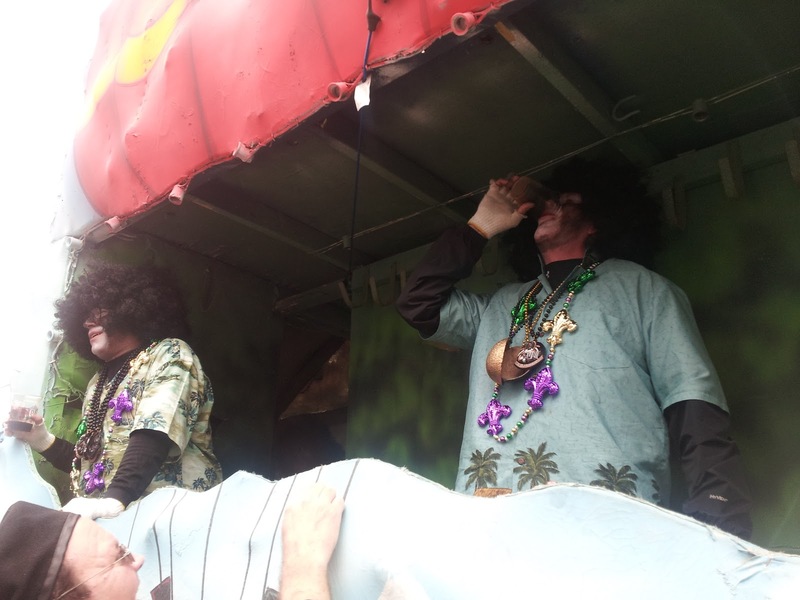 It has taken me four days to recover from the fun, but hopefully next year Mardi Gras won't try to kill me. 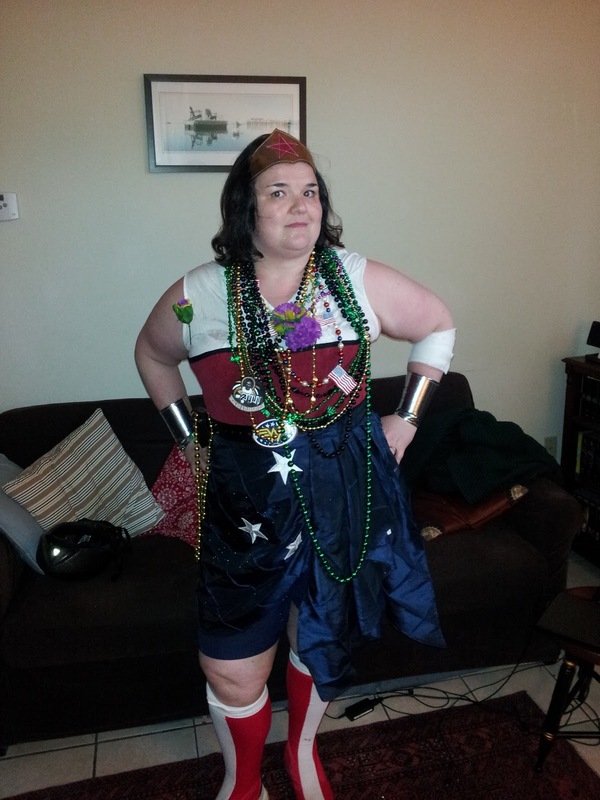 Totally worth it though.